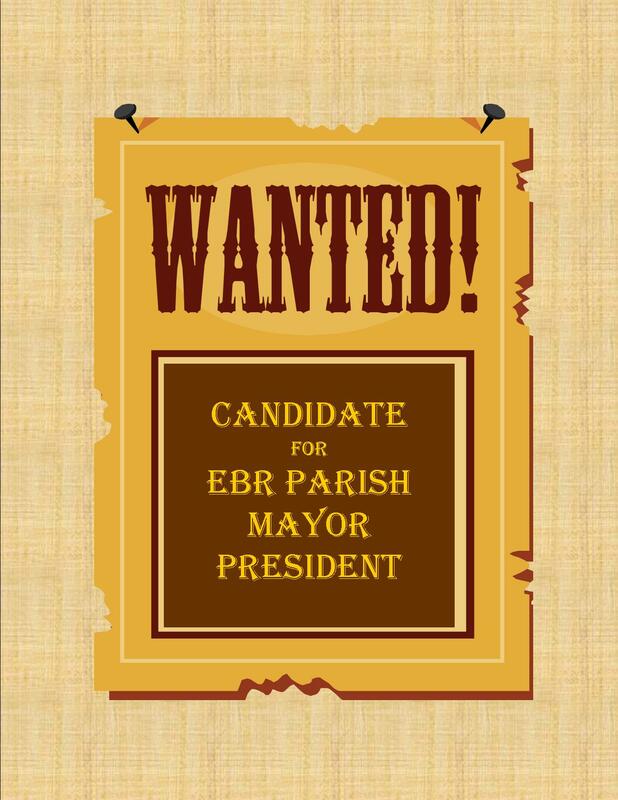 Citizens of the City of Baton Rouge and Parish of East Baton Rouge, population 429,073, anticipate an opening in the fall of 2008 for their highest ranking municipal officer: Mayor-President. The ideal candidate would be responsible, decisive, and have considerable knowledge and experience in the administration of a municipality with an ability to set an immediate agenda addressing pressing concerns such as: crime rate, traffic congestion and quality education. Preferable character traits should include: mastering the 7 leadership character traits as recognized by the Character First! program. 4 year minimum with option for additional 4 year service based on performance. Maximum service is capped at 12 years. $106,025 with 3% payraise annually. Quid pro quo applicants need not apply!